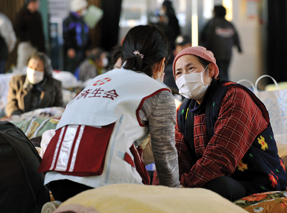 Six months after an earthquake and tsunami, Japan's populace and its clinicians are sizing up the long-term health effects of the physical injuries, the mental trauma and the damage to the nation's health care facilities. Internists describe the aftermath in their own words. New guidelines and diagnostic advances are identifying Alzheimer's disease and its precursors much earlier in the course of the disease. The bad news is that, for now at least, these improvements may only create more dilemmas for general internists for the role of biomarkers and communicating with patients. Experts hope a new plan launched in May by the U.S. Department of Health and Human Services will target hepatitis from a number of fronts, including education, treatment and prevention, and increasing the training of clinicians to diagnose and treat hepatitis and immunize patients. To improve local care of hepatitis, Project ECHO uses videoconferencing and case-based learning to connect front-line primary care physicians with skilled and knowledgeable specialists. Advances in the understanding of the molecular pathogenesis of cancer, rooted in knowledge of the genetic derangements underpinning each tumor type, leads to the question of whether clinicians should classify cancers by their tissue of origin, or their mutation of origin. Which diagnostic tree is the better example?. The American College of Physicians collaborates with other medical societies about how internists can enable members to provide better patient experiences and outcomes, as well as increase access to affordable, available, high-quality, cost-conscious care. Politicians often choose to wait until the absolute last minute to strike a deal on difficult decisions. The first result of the massive earthquake and tsunami that hit Japan this past March was obvious and undeniable. ACP disputes the relative values assigned to observation care codes, believing that they do not fully account for the physician work involved in providing the services. But CMS finalized the relative values at the disputed levels. ACP advocacy and members' input is critical to helping improve internal medicine physicians' recognition for the care they provide. Setting up an influenza vaccine clinic is a simple way to immunize all patients in a practice. It's easy to achieve that goal if the practice is well organized. Here is a step-by-step guide to running a successful flu vaccine clinic. Susan T. Hingle, FACP, and Robert M. McLean, FACP, are seeking election as Chair-elect of the Board of Governors. The Governors will be casting ballots online shortly, with the winner to be announced in October. Andre L. Laz, FACP, and Jose M. Torres-Gomez, FACP. Based upon a physical exam and lab results, what is the most likely diagnosis?.